After completion of this program, children typically exceed kindergarten entry level requirements. We set them up for success by teaching them to read, write, and spell sight words. We help them gain problem solving skills and social skills during their time in this program. To help develop more these skills, activities and games are provided to encourage the children to have more interaction with each other. We teach children about emotions and how to deal with them effectively, about acceptance of diversity. We display and support warm, nurturing attitudes and create environments that foster social interaction and problem solving. 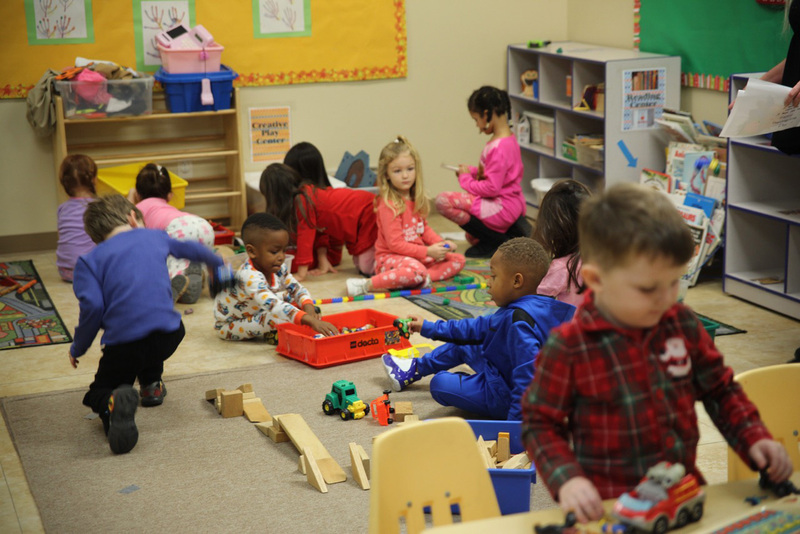 In addition to what is available for our toddlers, preschoolers have access to a math center, science center, writing center, art center, and pretend play area. They participate in STEM activities, music & movement, sensory play, daily art activities, circle time, songs, and story time. For full time students, morning and afternoon snack are provided. For part time students, morning snack is provided. Shining Stars employs the most loving and attentive teachers. Teachers who look forward to coming to work every day and are always looking for new and exciting things to teach the children. We provide individualized attention to all students and prepare individual goals for each child. We provide an atmosphere where families can participate as much as they would want in order to feel like they don’t miss out on their child’s learning experiences. Our programs are designed to develop the whole child. We incorporate intentional activities throughout the day that focus on all areas of development for each child cognitively, socially, and emotionally.